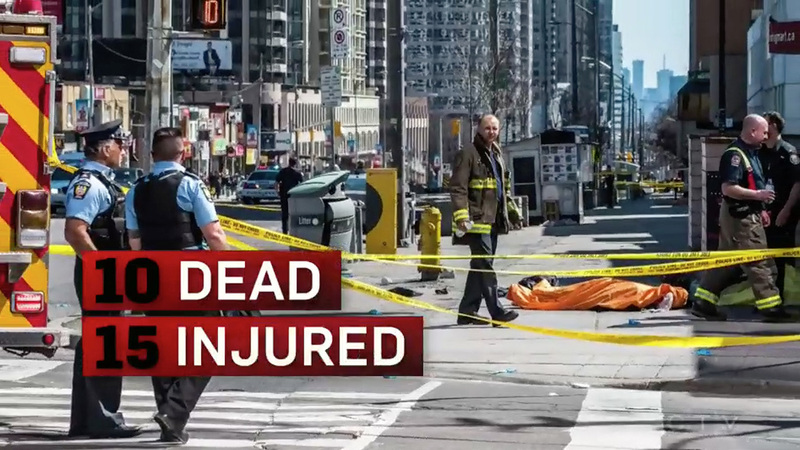 Monday saw a van attack in Toronto, Canada, leaving ten dead and more than a dozen injured, making it one of the country’s worst mass tragedies. 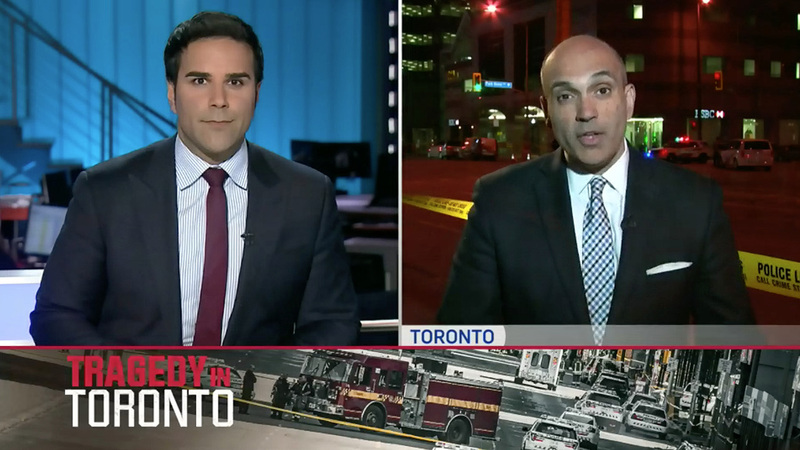 The main stations of CTV and CBC went into rolling news mode with details of the incident, which has not been labeled as terrorism. 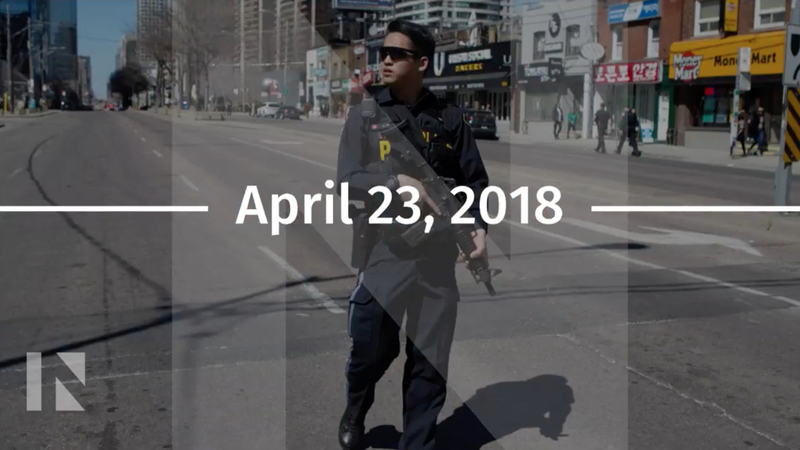 The evening newscasts also produced special coverage from Yonge Street, where a scene of destruction lasted for over a kilometer. 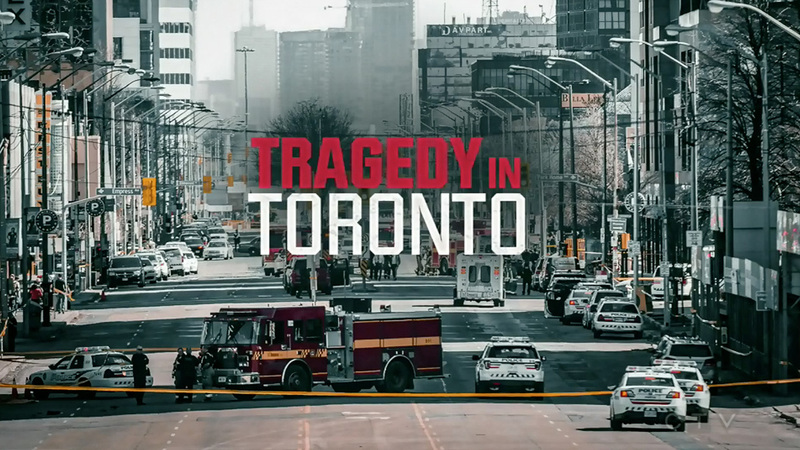 The “CTV National News” was the sole evening newscast to brand the attack, using the “Tragedy in Toronto” moniker throughout its broadcast with special graphics. The main anchor, Lisa LaFlamme, however, was missing from the coverage. 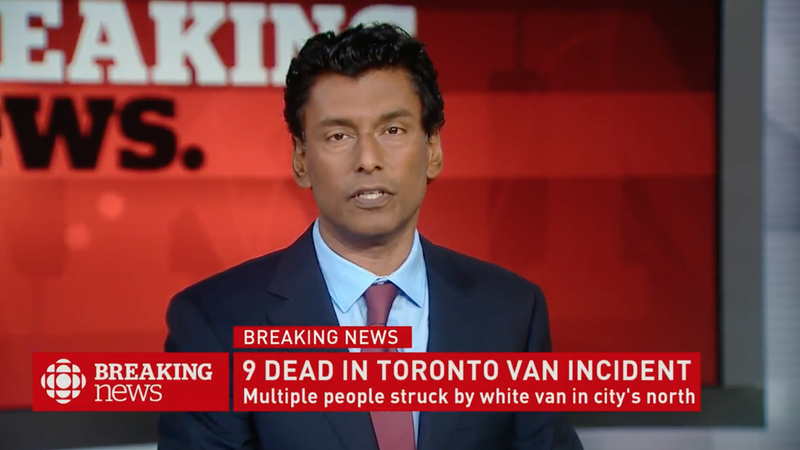 On CBC News, the national public broadcaster of Canada, “The National” used its four anchor team to dive into the various aspects of the unfolding event, with Ian Hanomansing near the scene. Hanomansing also helmed CBC News Network’s coverage shortly after the story broke until he had to leave for his “National” duties.